I'm thankful the Dads of Anarchy have taken a Christmas break from terrorizing the 'hood with their hellacious brand of crazy. I'm thankful it's only the One Percenters, and not Two or Three. I'm thankful they announce their presence with easy-to-spot orange vests and the trademark thunder of their Rumble Pack exhausts. And I'm thankful it's Friday, Dec. 26, 2014. This past weekend marked the first race of the 2014-2015 USXC cross-country season, held on Pine Lake. 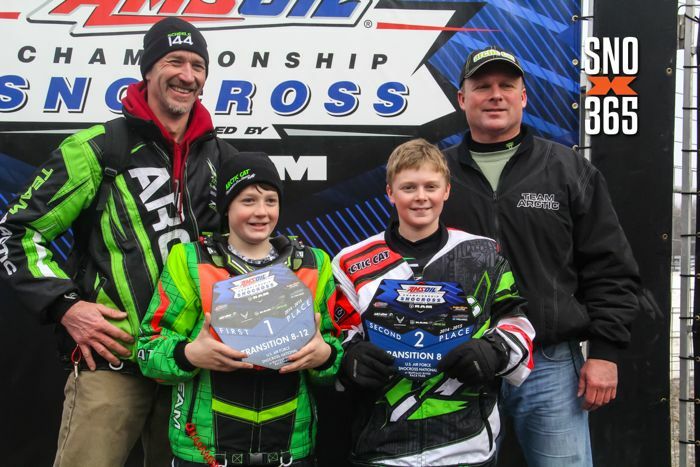 Team Arctic grabbed 14 of 20 class victories and more than 70 percent of all podium places. Pretty spectatular. 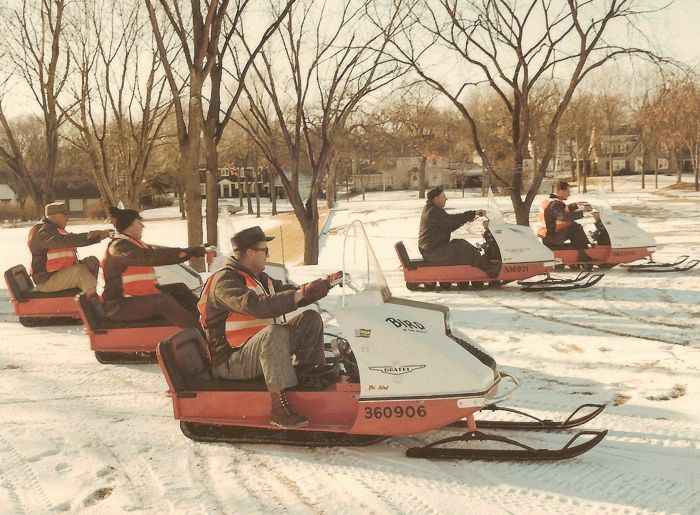 There were only winners among the losers* in the 2014 Arctic Cat Engineering Ugly Sweater Contest. 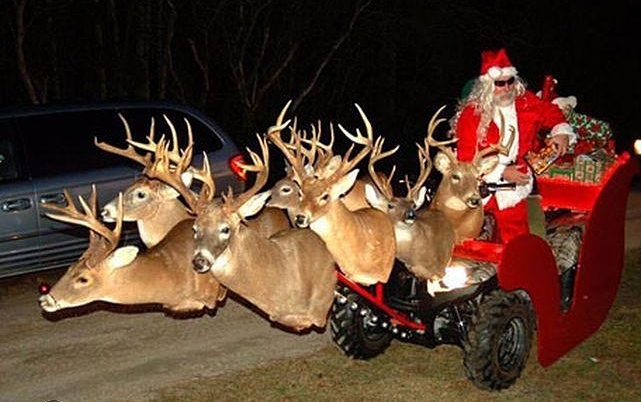 I'm thankful that jolly ol' Saint Nick is a card carrying member of the NRA. I'm thankful for the sunglasses. At night. I'm thankful that I didn't actually SEE mommy kissing Santa. And I'm thankful it's Friday, Dec. 19th, 2014 (and that Christmas is next week). In the 1990s it was Aaron and Brad. Last weekend at Fargo, it was Anson and Andy. Click to read some more. 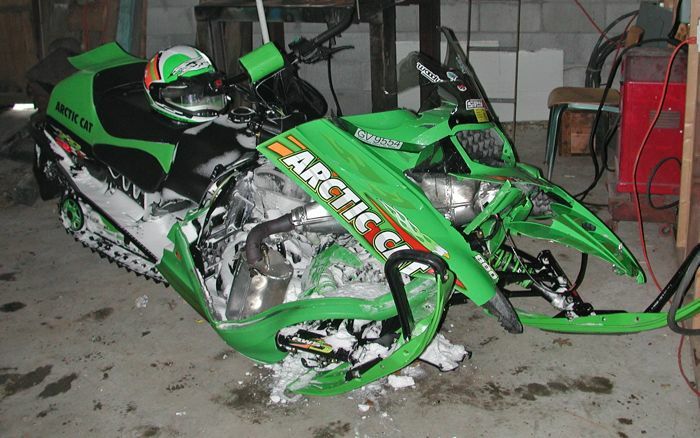 Funny how a snowmobile or ATV hitting an immovable object takes only a fraction of a second, but the sound of smashing alloy and plastic reverberates in my head for eternity. Do you know this sound? Is it a soundtrack? I'm thankful the Cat guys have made my Tiger smokin' fast. 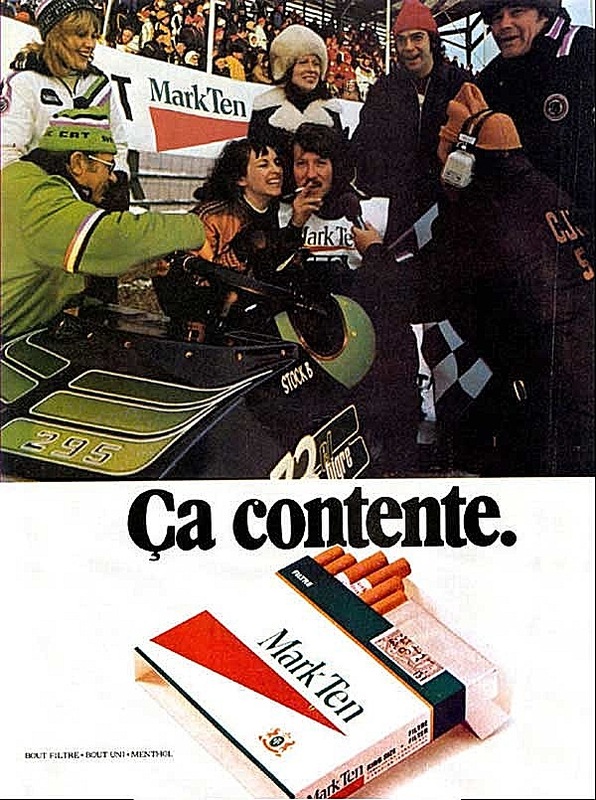 I'm thankful that after winning yet another snowmobile race, the first thing shoved into my face is no longer a microphone, but a Mark Ten cigarette instead. I'm thankful the creepy guy in the red hat is my brother, otherwise I'd be genuinely nervous. And I'm thankful it's Friday, Dec. 12, 2014. 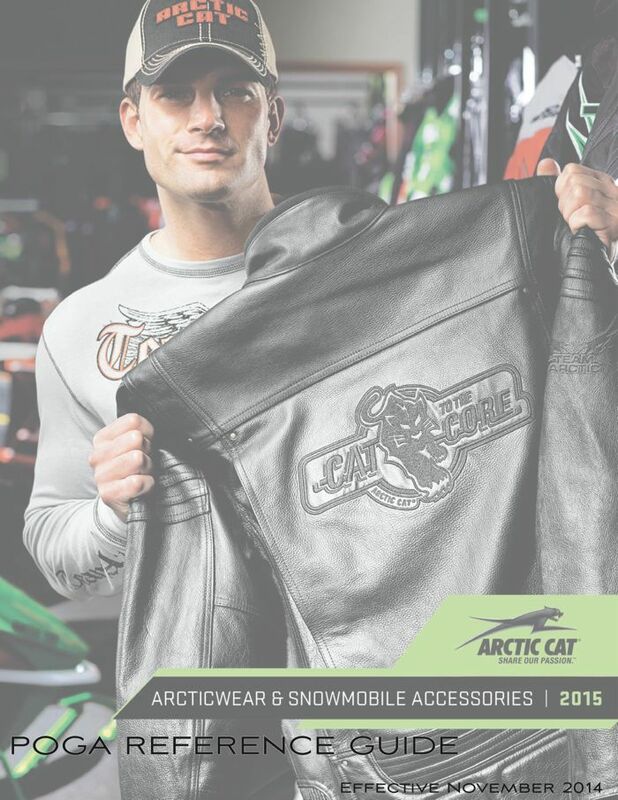 The glossy four-color Arcticwear & Accessories catalog that comes out every year has the newest stuff from Arctic Cat, but it doesn't contain ALL the accessories available for Arctic Cat snowmobiles. But this handy-dandy 2015 Accessory Reference Guide surely does, with updated/new products (as well as older products for previous generation snowmobiles) not featured in the color accessory catalog. Plus there's a lot of useful extra information, such as estimated installation times for various kits and parts; the actual dimensions for various bags from the color catalog; spare parts for bags and helmets; high altitude kits; optional suspension springs; belt and clutching charts; carb info and more. Click HERE to download the pdf to your computer. It's a 3.5MB file, so it might take a few moments. 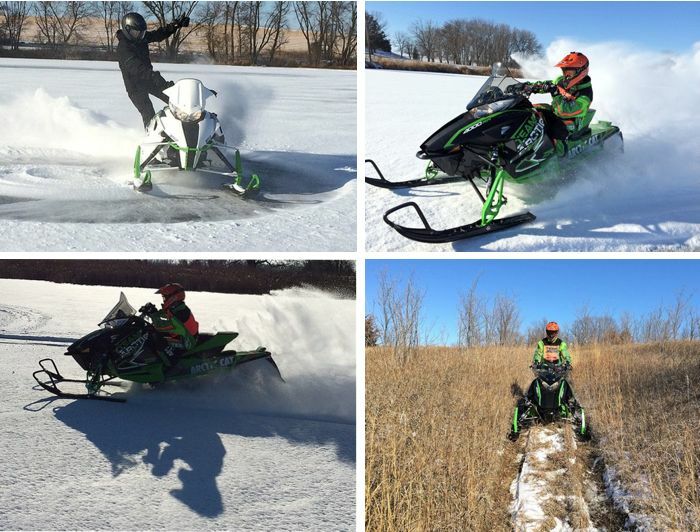 Despite the marginal (at best) conditions, my first snowmobile ride of the 2014-15 season was a total blast for me and my son. And it was yet another reminder that great rides don't require perfect conditions or big miles. Click to see what I'm talking about. 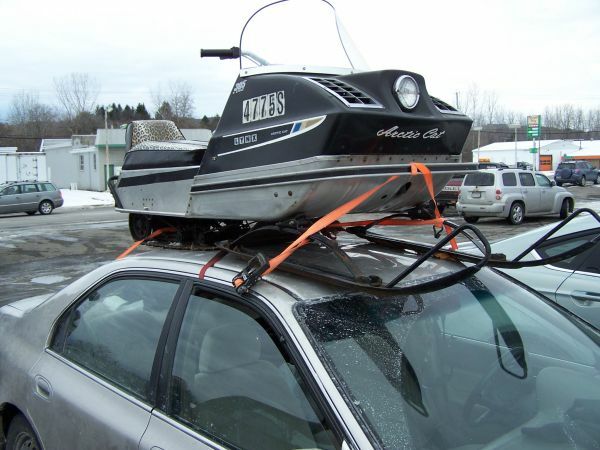 I'm thankful for the handling and towing ease of the shorter-statured Arctic Cat Lynx. I'm thankful for the extra traction provided by the cleated track. I'm thankful my wife never looks at the roof of her car. And I'm thankful it's Friday, Dec. 5, 2014. 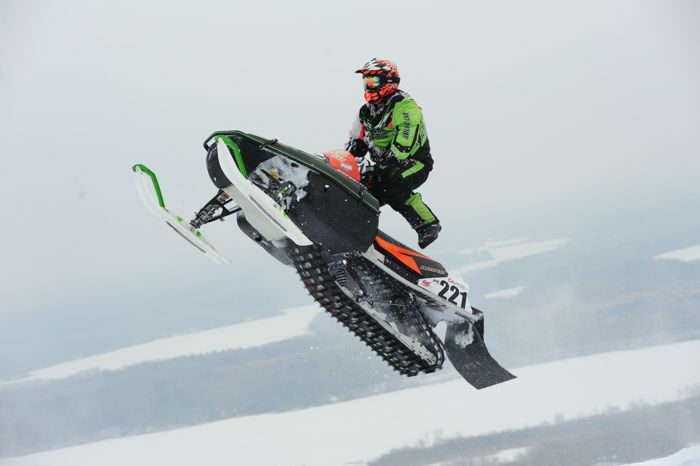 For a few brief laps, Nate Ewing of Big Lake, Minn., became the unsung hero and crowd favorite at the recent ISOC Duluth snocross. 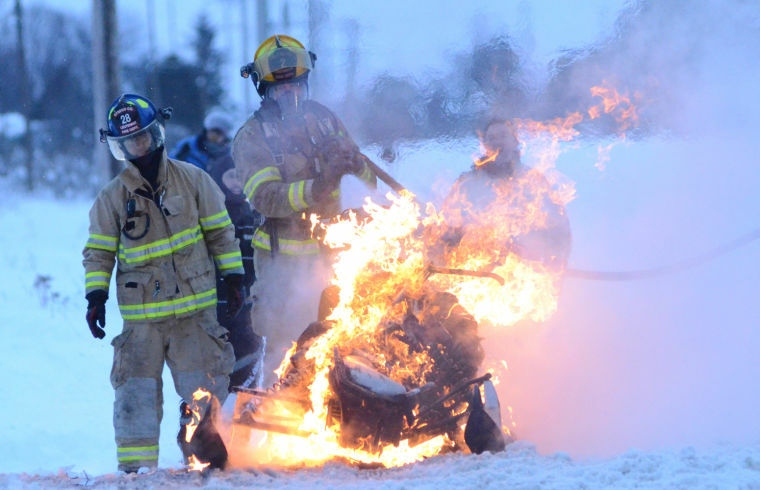 Launching a 20-year old sled against the odds has a way of endearing yourself to the masses. Click to read a little bit about the man, the legend. 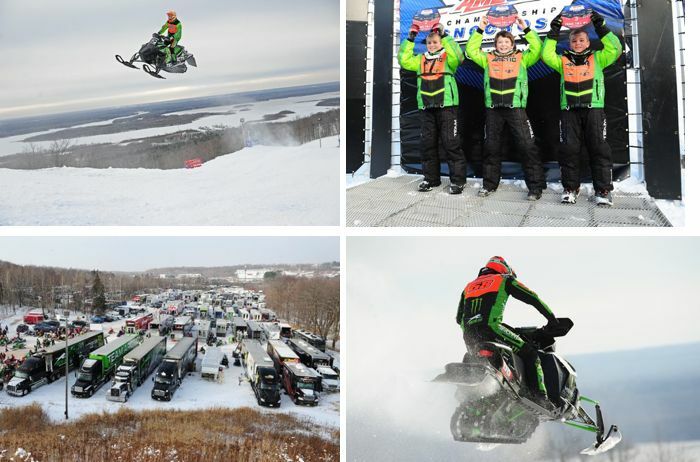 As it has for 23 years, the season opening Duluth snocross national served up great racing while answering many of the questions that characterize a new season. Click to see some pix and read some observations from a grizzled veteran. I'm thankful for the burning passion fuels this sport. 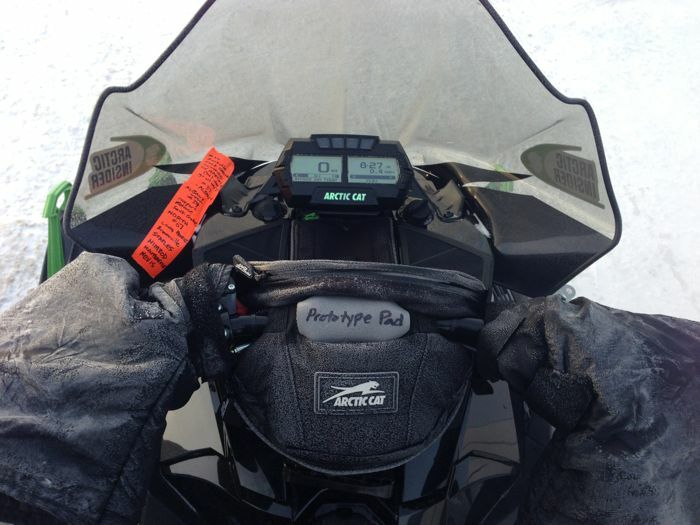 I'm thankful for heated grips and heated seats. I'm thankful for Firecats, T'NTs, Nitros, Sno-Blazers, Liquifires, Starfires and more. And I'm thankful it's Friday, Nov. 28, 2014. On the eve of Thanksgiving 2014, I’d like to take a moment to honor three great turkeys. You know them already. They’re pretty famous. And each is a good guy and a friend of mine. Click to read a Thanksgiving tale of three Team Arctic turkeys. I'm thankful for the monster lake-effect snowfall that's blanketed the Great Lakes region of North America. I'm thankful that I have a big sled to handle the big snow. And I'm thankful it's Friday, Nov. 21, 2014. Happy Birthday C.J. Ramstad (and thanks for great writing like this). Today (Nov. 14), would have been C.J. 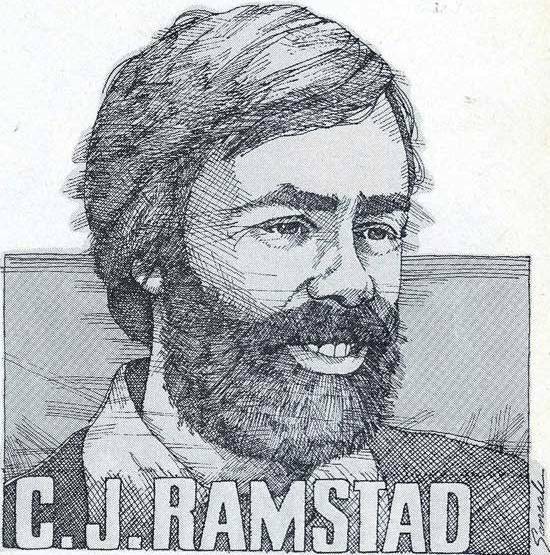 Ramstad's 69th birthday, had he not died in a tragic automobile crash with his son, J.J., in May 2007. He was (and probably always will be) my favorite writer. One reason why was his great Pops Quiz column in Snowmobile Magazine during early to mid-1980s. As a gift to yourself on C.J. 's birthday, please read this gem from 1984. What Happens When a Thundercat Mates with a Yugo?! I don't want to know why, rather I'd prefer to know what it drives like. I'm referring to this honey of a Yugo that's powered by a 900cc Suzuki triple straight out of an Arctic Cat Thundercat. 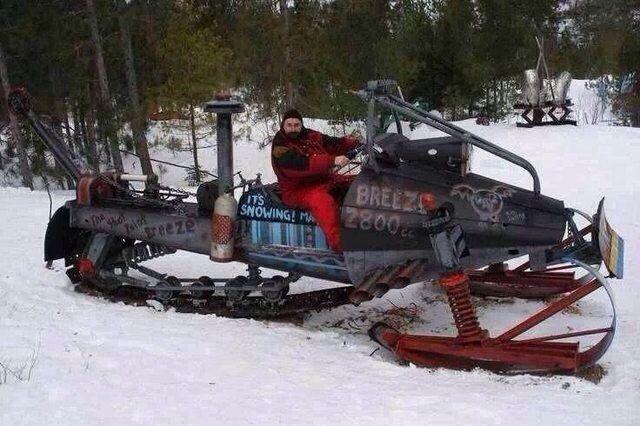 Someone just paid $2,025 for it on eBay. Click to learn a wee bit more. I'm thankful for the Minnesota deer hunting opener. 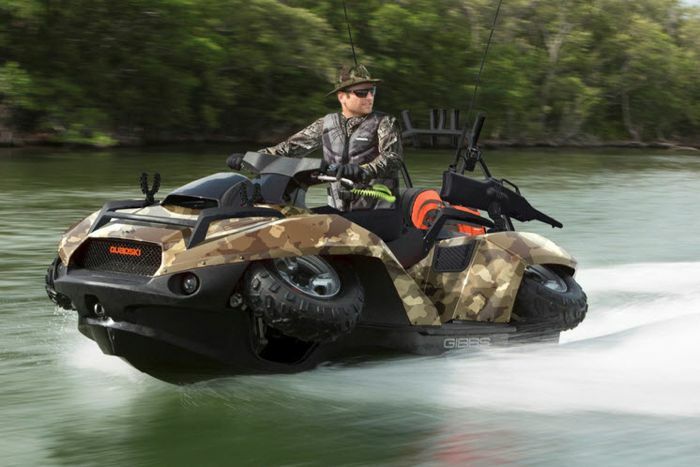 I'm thankful my Quadski can transport me over the river and through the woods. I'm thankful that, in the event my hunt is unsuccessful, I can buy a little more photoshopping for this image. And I'm thankful it's Friday, Nov. 7, 2014. Recently, the core of Team Arctic's legendary Sno Pro team reuinited for the first time in more than three decades. 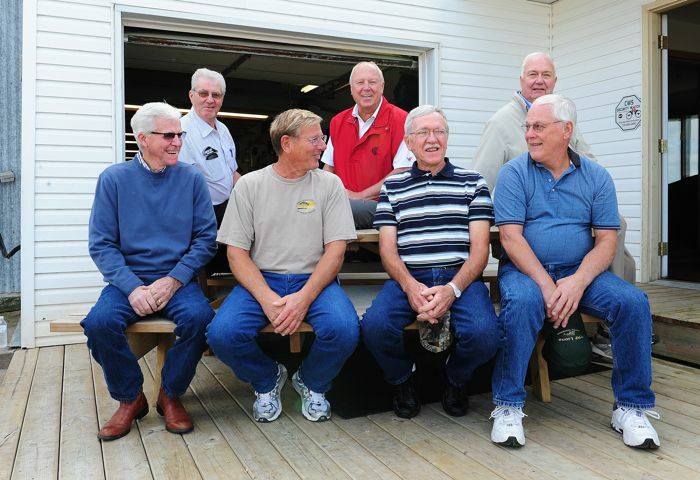 Larry Coltom, Dave Thompson, Bob Elsner, Jim Dimmerman, Roger Skime, Bill Ness and Bill Decker gathered to remember their past and reveal the present. In this heartfelt, personal account of that weekend, Dimmerman takes us there and shares what it meant to him personally. 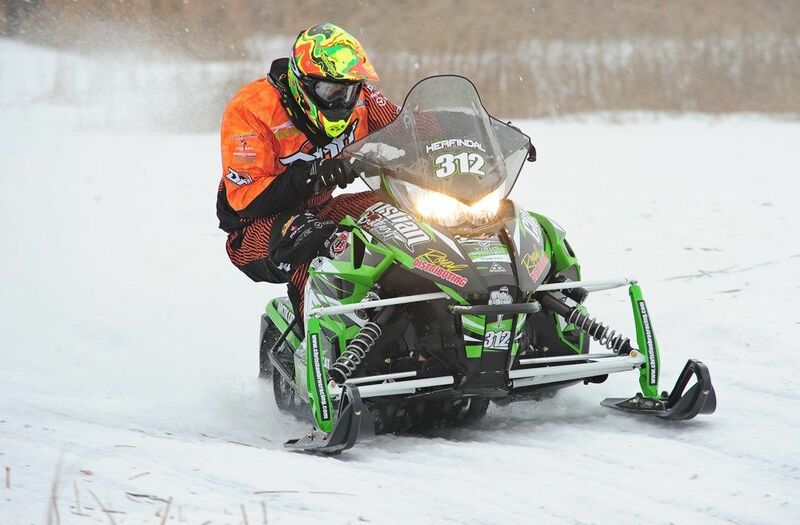 While race-prepping the ZR 440 that he sponsored for me to contest the 1994 ISOC cross-country race season, Brian Nelson adds an accessory that will forever change my snowmobile experience and set a template for every snowmobile that I’ve owned since then.